Introduced in the 50s, the Scandinavian interior design movement encompasses functionality, simplicity, and minimalism. Popular in the Nordic countries (Finland, Norway, Sweden, Iceland, and Denmark), its elements define and bear an active energy with style. There is no one way to clarify this unique approach in how the style principles combine to exude a smart yet homely trait. 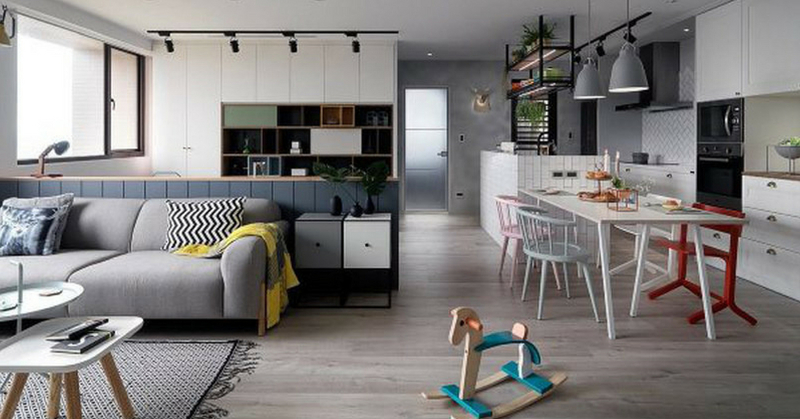 What defines a Scandinavian design from the others are the furnishings, colors, wooden features, greenery, and the use of natural light that emphasizes a particular concept’s main attributes in order to maximize comfort, practicality and quality. Colors should not clash to avoid confusion. Use warm and soft color schemes to bring out the iconic relaxed demeanor. Commonly, whites and greys are used as base tones but adding a few more colors to the mix will serve to liven up the room. Incorporating indoor gardens or simple, potted herb plants will come in handy in the kitchen and offer a more refreshing greenery to your room as well. Not everyone is able to acquire a sculptured deer or a moose head for a finishing wall touch, so this is optional.